In 2013, I watched 12 “classic” films that I hadn’t ever seen before. It worked out well, and I’m doing it again in 2014! Here are the final 12 films I’ll be watching. Friends from Film Nerds, Aspect Radio, and the Hollywood Gauntlet and Fabisch Factor facebook groups voted and helped me whittle down the list to just 12. Needless to say, I’ve got plenty more years of movie-watching left before this Shelf of Shame is empty. VIEWED JANUARY 25th – I was expecting great things from Sidney Lumet, a director whose work I’ve not seen much of, and of course I had heard great things about Al Pacino’s lead performance, but what I wasn’t expecting was the amazing work from Charles Durning. I was primarily familiar with Durning from his fantastic comedic work as Pappy O’Daniel in The Coen Brothers’ O BROTHER, WHERE ART THOU?, but his turn as negotiating officer Moretti is absolutely staggering. Every performer in Lumet’s somewhat comic heist movie feels exceptionally lived-in and organic, but somehow Durning’s work is what really blew me away. 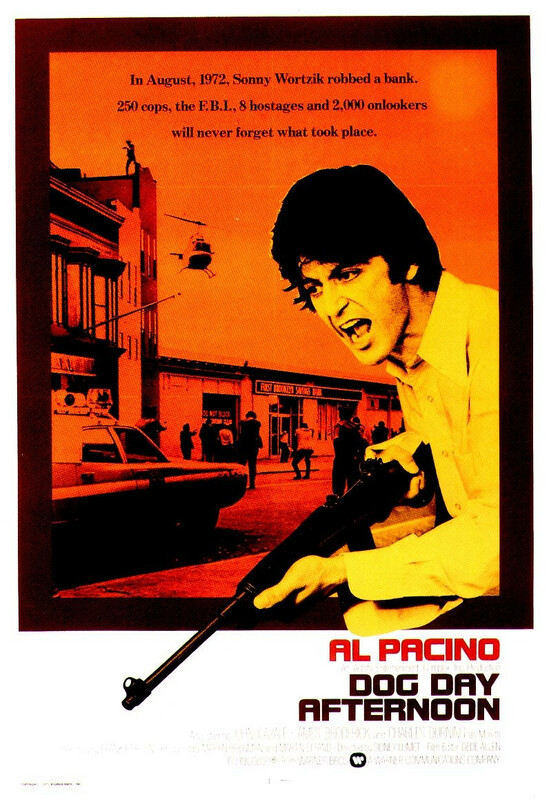 Overall the film moves extremely quickly, but for some reason I felt a disconnect when it came to John Cazale’s tragic Sal character. This will probably subside with future viewings. 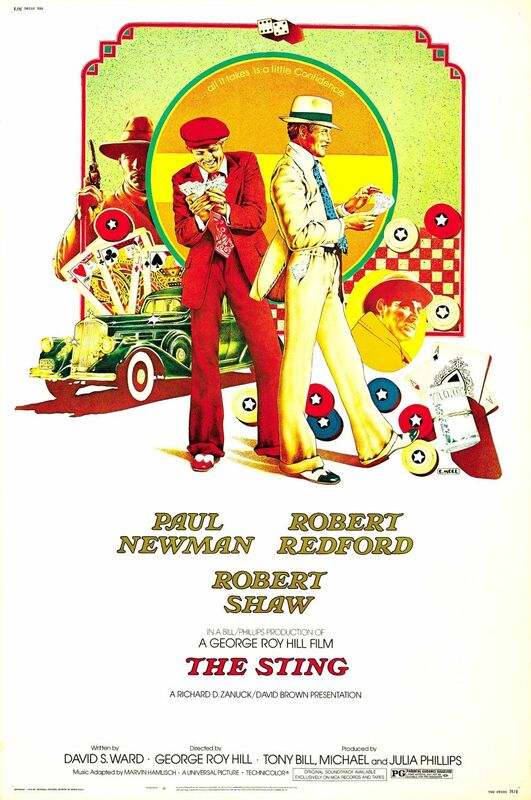 VIEWED FEBRUARY 18th – Being that George Roy Hill’s BUTCH CASSIDY & THE SUNDANCE KID is one of my all-time favorite movies, my expectations were very high for Hill’s reunion with Paul Newman and Robert Redford. While THE STING doesn’t have its predecessor’s visual flair, structural experimentation, or winsome anachronisms, it’s still a very entertaining and satisfying caper film. It’s more of a Redford vehicle than a showcase for Newman, which is – again – a slight disappointment, but Redford certainly has plenty of screen presence to hold his own. What’s immediately apparent about THE STING is its incredible production value. The art direction and costume design is staggering, and along with the wonderful interstitial title cards, go a long way in creating an absolutely organic, lived-in environment for its characters. Hill doesn’t let any of the design go to waste, either; much of the film is shot in slow, open wide shots that make sure we get to see all of our characters living in the world created for them. As with most 1970’s classics, the supporting cast is fantastic, as Charles Durning makes another welcome appearance. He’s joined by the great Robert Shaw in a glowering villain role, as well as a very charming Harold Gould and a scrappy, likable Jack Kehoe. All in all, THE STING was a warm, effervescent caper delivered to me in the dead of winter, and it couldn’t have been more welcome. VIEWED MARCH 29th – Quite possibly one of the most important films I’ve watched for the Shelf of Shame, it’s a miracle that Charlie Chaplin’s brave satire even exists. 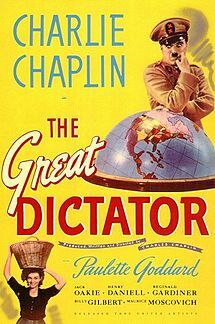 Much has been written about the audacity of THE GREAT DICTATOR, but what strikes me is its episodic nature, reminding me more of Chaplin shorts than features, and its obvious change from other Chaplin features: The use of dialogue. Chaplin’s toe-dipping into sound is what makes MODERN TIMES such a beautifully fun anachronism, but here the full-on sound treatment doesn’t sit as well. There’s something awkward and misshapen about Chaplin’s film, but it’s such a bold statement, and features several excellent sequences (including that famous ending), that it still manages to charm. VIEWED APRIL 25th – This is one of those quintessential Shelf of Shame picks; a film that everyone has seen on VHS or cable a billion times by accident. 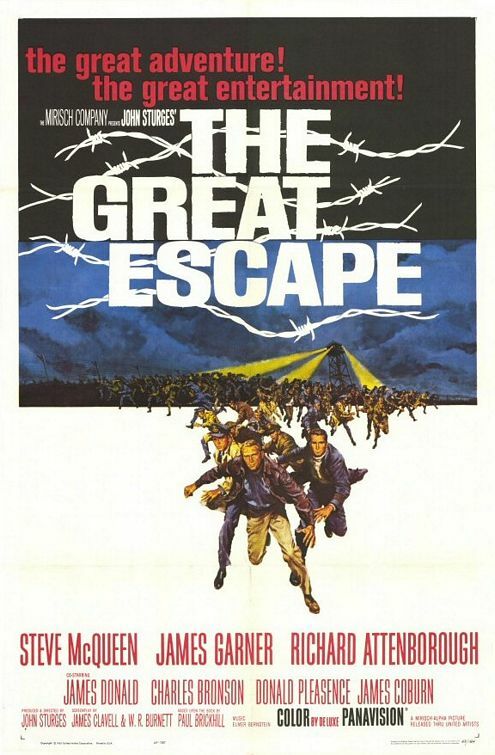 THE GREAT ESCAPE is bona fide American classic, with an iconic score by Elmer Bernstein and a possibly even more iconic performance by Steve McQueen. I can’t identify why I’ve never seen this movie, but boy am I glad I put it on this year’s list. It is an absolutely essential war film, and wonderfully mixes the broad, populist imagery and types of John Ford with the brutally specific mechanics and details of Jean Pierre Melville. Yes, the first act feels a bit flabby while it’s going on, but once the second act starts gearing up, everything begins paying off and the time just flies by. The wide, passive, somewhat stagnant grammar that Sturges sets up at the start of the film is necessary to the utilitarian, geographically precise approach that the film’s all-climax third act demands. I’ve been a bit lukewarm on a few of my Shelf of Shame selections so far this year, but here’s one that earns its spot on the list, and is must-watch material for any movie fan. 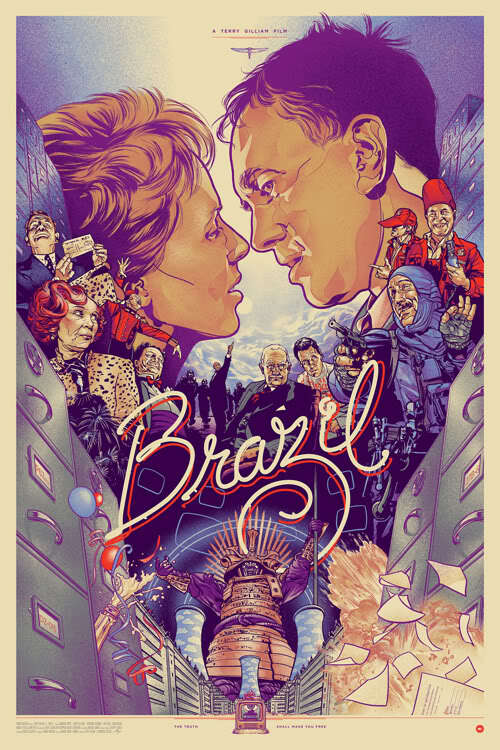 VIEWED MAY 28th – As a guy that’s generally ambivalent toward Terry Gilliam (although a few of his most well-revered films sit on a future Shelf of Shame), I wasn’t expecting much out of BRAZIL, but made sure it was on this year’s list because of its high status amongst film snobs in general. How wrong I was to go in with lowered expectations. From the opening scene, Gilliam’s camera and Norman Garwood’s Production Design completely captivated me, and by the time Jonathan Pryce’s dream sequences arrived I was already won over. I’ve never been too interested in Pryce as a performer, but here his comic timing recalls something of Buster Keaton, and he makes an excellent entry point into an entirely original, terrifying, and hilarious universe. I’m always glad to be proven wrong, and I was definitely wrong to expect anything but greatness from this obvious classic. 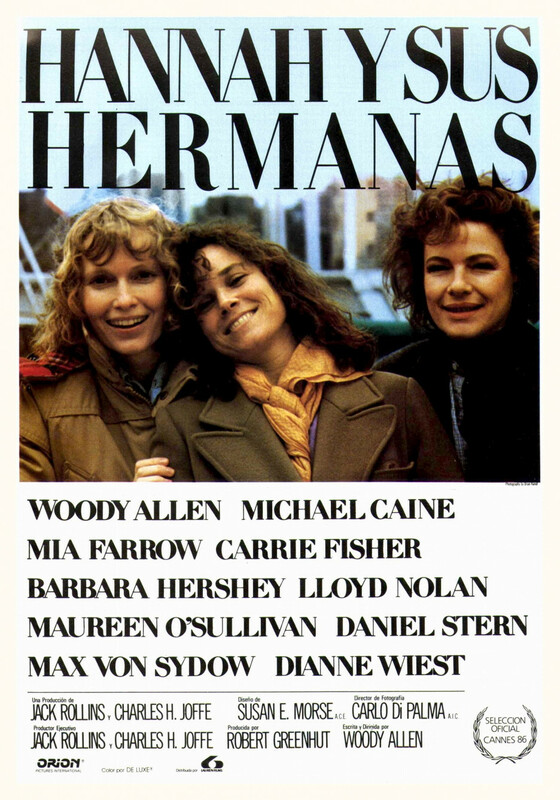 VIEWED JUNE 30 – As with many Woody Allen films, it took me right into the second act of HANNAH & HER SISTERS before I became comfortable with the movie’s pacing, dialogue, and setting. There’s something about the privileged intellectual sandbox that Allen plays in that keeps me at arm’s length, but once his stories introduce their central conflict, they very often succeed. On average, I really love Woody Allen movies, and this film definitely jumps into the top of his filmography for me. The moment that this realization solidified for me was in the last of Max Von Sydow’s few scenes, in which his character’s relationship with Barbara Hershey goes from bored to devastated in mere minutes. All the performances are fantastic, but something about Von Sydow’s Frederick fascinates me; he’s an incredibly gruff art snob, as well as a fully self-aware codependent lover to Hershey’s Lee. The film mirrors CRIMES & MISDEMEANORS in a way, as it mirrors an infidelity plot (featuring Michael Caine, Hershey, and Mia Farrow) with a search for spiritual certainty by Woody Allen’s Mickey, but I’ll admit that Allen’s scenes wore a bit thin for me… but the less time you spend in them, the less power the film’s wonderful ending has, so all that familiar existential hand-wringing ends up being an entirely worthwhile experience. VIEWED JULY 30 – It’s really incredible that a movie produced so relatively close to World War II could be so acerbic towards the American military, so honest about the religiosity of 20th and 21st century war and politics, and so generous in its portrayal of German military members as thoughtful and astute. I had always assumed that PATTON was a typical 50’s or 60’s “war picture” in the vein of THE LONGEST DAY, but this is absolutely counter-cultural… and yet, it doesn’t go out of its way to be condescending or insulting. Here’s a film that is written by vocal Vietnam War critic Francis Ford Coppola, yet totally embraced by Richard Nixon himself. PATTON exceeds at every level: It’s an incredible character study of a fascinating, terrifying, and funny man. It’s a really strong war narrative that gives a very clear idea of geography, stakes, and chronology. It’s amazingly directed by Franklin J. Schaffner, a man whose filmography whom I’ve always been interested in, but now have to consider a major priority. The way he uses wide screen compositions to frame characters within their contexts is absolutely masterful. Of course, Jerry Goldsmith’s multi-textural score – which is at times whimsical, other times haunting, and sometimes even inspiring – is deserved of the praise that’s been heaped upon it for the last 44 years. I can’t rant and rave about PATTON enough. Again, George C. Scott’s performance. The scenes of the Nazis psychoanalyzing Patton. The general “remembering” the Carthaginian battle against the Romans. The contrast of Patton against his cowardly bull terrier, Willy (God forbid he be named after William the Conqueror with THAT attitude). And of course, that final moment poem and that final shot. If you haven’t seen PATTON, move it to the very top of your Shelf of Shame. VIEWED SEPTEMBER 24 – I failed. What a tragedy. Unfortunately, August was a tremendously busy month because of a film I’m making, and September hasn’t been any calmer due to the baby my wife is expecting and the nursery that needs to be completed, so I haven’t gotten a chance to watch many films. I’ll admit I watched this in parts across several lunch breaks. I’m sure that influenced my experience, which wasn’t overwhelmingly positive, but I also know that this just isn’t the type of film I usually respond to. 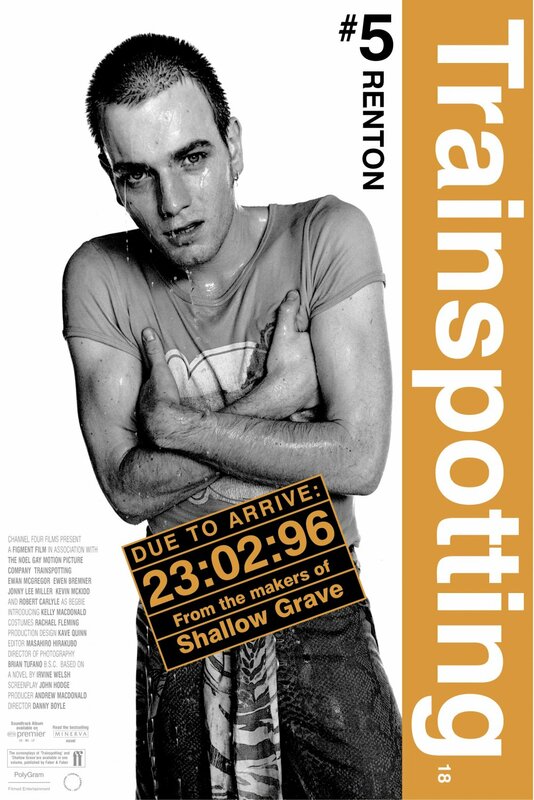 Perhaps it’s the squalor, the horror, and the comedy all mixed up together, or the broad and base way each of these is represented (two poop jokes, guys), but something about TRAINSPOTTING failed to amuse or greatly move me. MacGregor’s performance is amazing, however, and Danny Boyle’s camera placement is always admirable. VIEWED SEPTEMBER 23 – Not only did I fail, but I cheated. 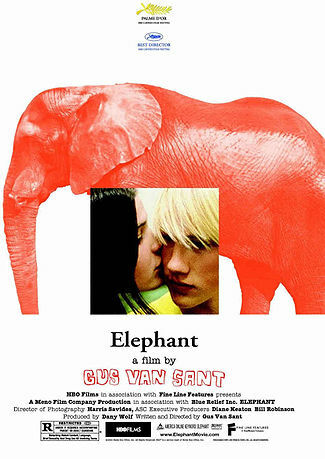 I’ve been wanting to catch up with ELEPHANT since it was released during my college years, and it’s only become a higher priority as I continue to discover the work of Gus Van Sant. The man is clearly a master, and having also loved PARANOID PARK, it’s no surprise that ELEPHANT completely captivated me. In fact, it did more than that. In a strange way, this movie transported me to the moment I heard about the Columbine shooting: I was a sophomore in high school, working as an office aide, which was the perfect elective class for someone who enjoyed doing invisible, meaningless work as opposed to sitting in a class room or socializing in a gym. I remember the administrators’ muted reactions. I remember learning more and more about the tragedy and easily imagining how it could have happened at our school. This movie is quite possibly the most accurate representation of high school I’ve ever seen. The monotony, the emptiness, the bizarre chemistry between working professional adults and overgrown children, and the long, languid nature of days spent in seemingly arbitrary confinement with similar-yet-scary strangers. Beyond its verisimilitude, the movie’s pace and dramatic beats are absolutely shock-inducing and numbing. This isn’t a movie I’d like see again any time soon, because it’s a movie I won’t ever be forgetting. VIEWED OCTOBER 29 – I’ll admit it. I’m scared to watch Cronenberg. THE FLY absolutely ruined me as a child, and even now I get queasy thinking about it. In trying to tackle this fear, I’ve scheduled a Cronenberg for my last two Shelves of Shame. Last year’s SCANNERS was good, but I felt it was non-essential sci-fi horror. I can’t say the same for VIDEODROME, which has an assured tone and collection of iconic images that put it in the “essential sci fi horror” category along with Carpenter’s THE THING, ALIEN, and Kaufman’s INVASION OF THE BODY SNATCHERS. I still don’t quite understand why so many cinephiles consider Cronenberg to be an art-film staple, considering that the works of his I’ve enjoyed most have been very good, pulpy genre pieces. 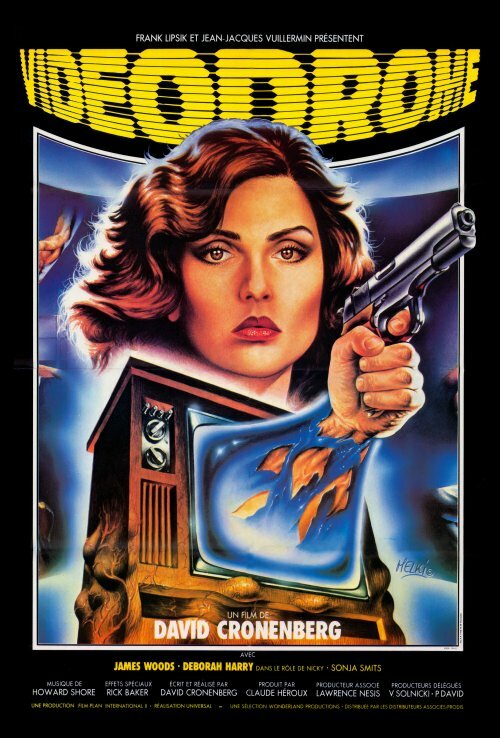 Setting all the useless expectations aside, I can highly recommend VIDEODROME for its clear and assured direction, sickening tone, and mind-bending imagery. 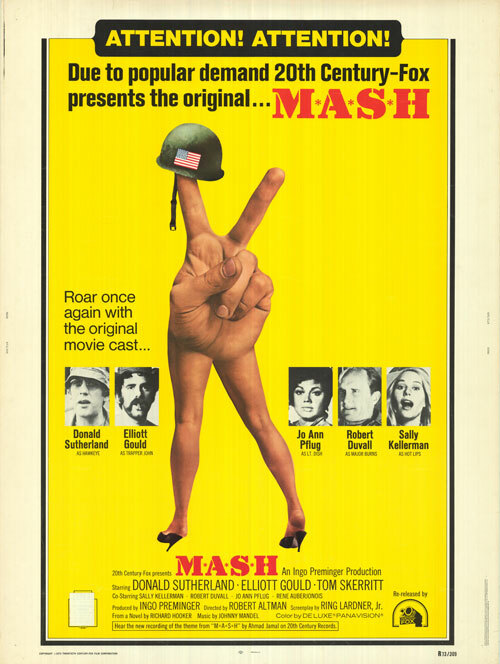 VIEWED NOVEMBER 19 – Defenders of MASH may suggest that the film shows humor in the midst of the horrors of war, but that presupposes that joy can only be experienced at the expense of others. A mish-mash of shamings, stale jokes, mild racism, and misogyny, MASH was a fairly miserable experience for me. Altman wallows in messiness: inconsistent shot selections, cluttered compositions, rough zooms, ugly looping, shaky focus. All certainly intentional, but all contributing to an muddy, unpleasant, and destructive experience. 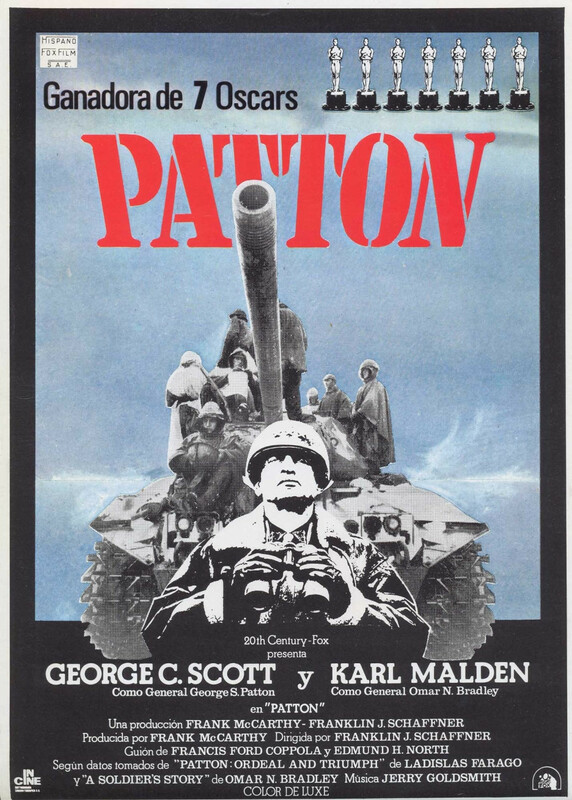 It may come as no coincidence that another of this year’s Shelf of Shame titles was PATTON… A far more effective, subversive, and yes, funny satire of the folly of war, also released in 1970. Elliot Gould is pretty great, though. 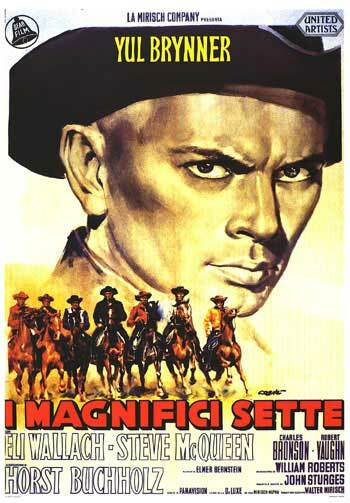 VIEWED DECEMBER 6 – What a dependable action director John Sturges was. A satisfying and fun Western that doesn’t match the gravitas of SEVEN SAMURAI , Sturges’ remake still impresses with beautiful cinematography and a phenomenal cast. I was baffled by the casting of ONE TWO THREE’s angry young Communist, Horst Buchholz, as the brash, presumably Mexican Chico. As in THE GREAT ESCAPE, Steve McQueen is absolutely phenomenal and ridiculously charming. His repartee with Yul Brenner was clearly an influence on Newman and Redford. All in all, an above average Western and a really fun conclusion to this year’s Shelf of Shame. I’ll be posting my titles for 2015’s Shelf of Shame list soon, so stay tuned. Also, I’ll be ranking the 2014 films in order of personal preference over at Letterboxd (posted below). Just like last year, be sure to check in monthly to make sure I’m staying on schedule! Here‘s the list on Letterboxd.